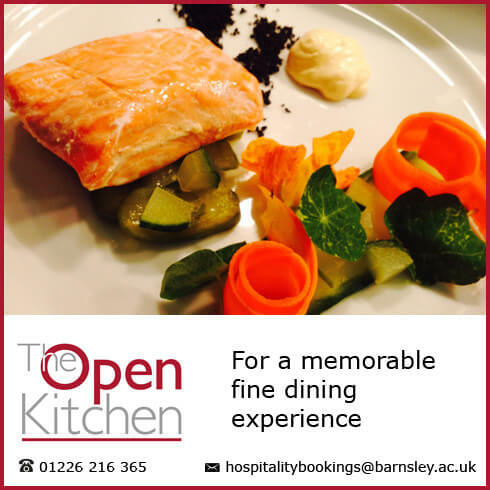 Two Barnsley College catering apprentices sampled life in a fine dining environment during a work placement at the famous Gleneagles Hotel and Resort. Sean Dunne, 20, and Craig Gerrard, 18, spent two weeks at the 5 Star luxury golf hotel in Scotland where they worked in the hotel’s grand 300-seat Strathearn Restaurant and in the less formal Deseo Restaurant, which serves Mediterranean dishes. 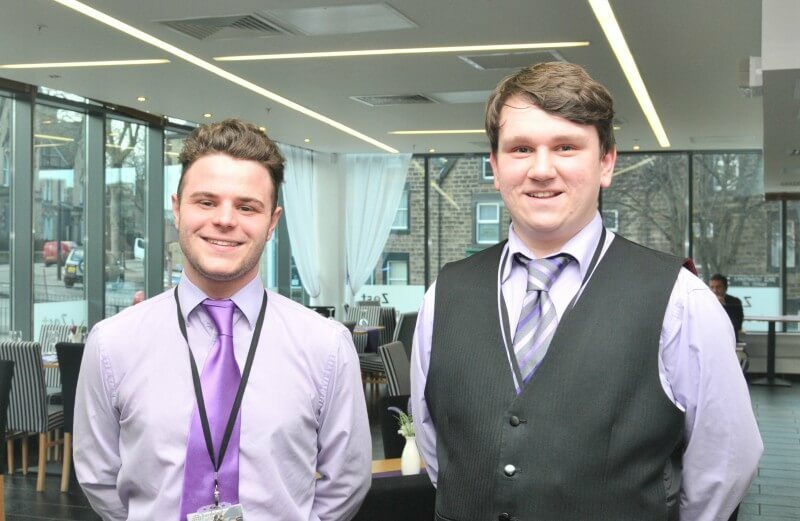 Sean, of Tuxford Crescent, Cundy Cross, is studying a Level 4 Apprenticeship in Hospitality Management while Craig, of Chestnut Avenue, Brierley, is on a Level 3 Apprenticeship programme in Hospitality, Leadership and Supervision. Andrew Leaver, HR Services Manager at Gleneagles Hotel and Resort, commented: “Sean and Craig immersed themselves unreservedly into the Gleneagles environment. Gleneagles can be a daunting prospect for seasoned hoteliers but Sean and Craig seemed unfazed and quickly got to grips with challenges they were set, rotating through both the formal dining setting of the Strathearn and Deseo Restaurants with equal enthusiasm.